The modern world is full of distractions. Whether it’s a new text message, five incoming emails or an urgent flurry of Facebook updates, there’s always something threatening to steal your focus. Any time you need to clear your mind or manage stress, take three deep breaths, writes Scott Eblin in Overworked and Overwhelmed. 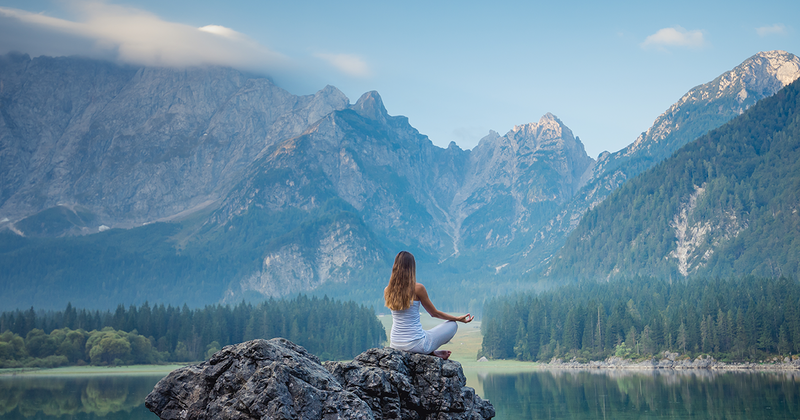 Anyone who has practiced yoga or experimented with relaxation techniques knows the importance of mindful breathing. Inhale through your nose, exhale through your mouth. Regular deep-breathing routines improve cognitive functions and reduce stress. Take a few minutes each day to focus on breathing. Mindfulness Tip 2: Stop multitasking. It’s counterproductive. When you multitask, you can’t properly focus on any single task, and your brain pumps out cortisol, a sign of stress, write Eileen Rogers and Nick van Dam in You! The Positive Force in Change. Even though you need to focus, it’s nearly impossible to direct your attention and feel engaged when your mind is fretful and cluttered. You can’t fully appreciate the abundant but fleeting beauty in the world if you are not present “in the moment.” Practicing mindfulness centers your thinking in the present, soothes stress and reduces the mind’s tendency to ping-pong between thoughts of past and future in a chaotic, unfocused way. Mindfulness Tip 3: Time block. The idea is to schedule uninterrupted time to truly concentrate on your most important tasks. Mindfulness Tip 4: Be bored. In today’s world, people are addicted to distraction, writes Cal Newport in Deep Work. The focus that purposeful, meaningful work requires means that you must break that addiction. Without distraction, however, you will suffer boredom. When trying to concentrate intensely, you will yearn for something to break the tedium. But if you stop fighting boredom and recognize it as proof of your focus, you can make focused concentration a habit, something you do regularly because it is good for you. Mindfulness Tip 5: Turn off social media. Twitter, Facebook and Instagram are entertaining, and they keep you in touch with people. These benefits are minor compared to the cost, Newport writes. When considering the use of any social media tool, identify which factors create “success and happiness in your professional and personal life.” Use that tool only if it offers more benefits than negatives.